This was a slots only casino which was opened temporarily while a gaming licese was being applied for as described in the article below. There was another limited run casino named the Silver Star a block away in 1984. 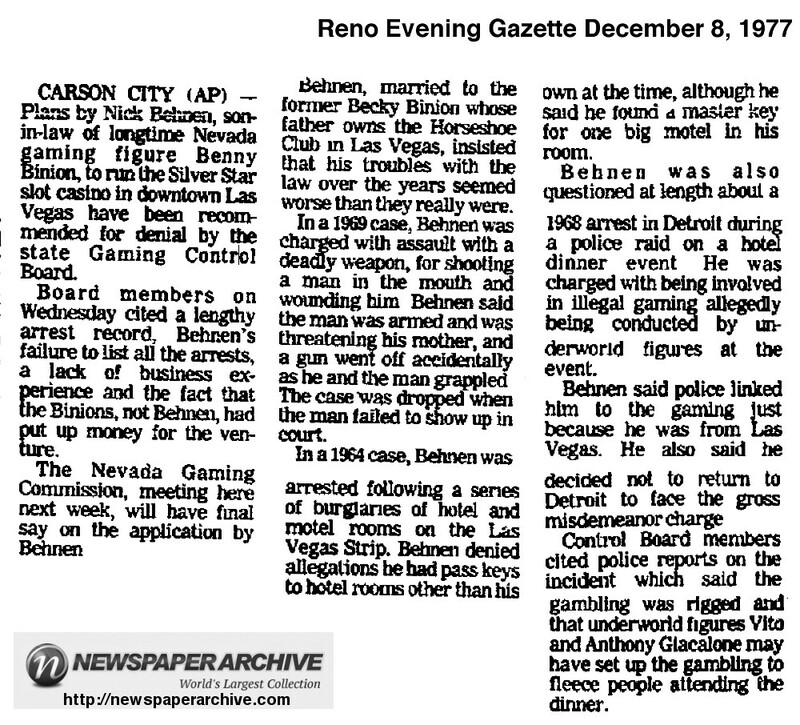 Nick Behnen, son-in-law of Benny Binion was ultimately denied a license.